Rivulet technique using watercolour…….and another hare! Thank you to http://weisserwatercolours.com for the link, I really enjoyed the tutorial.although very different to my usual technique, I love the finished look, very soft, and found it to be a relaxing style to paint. 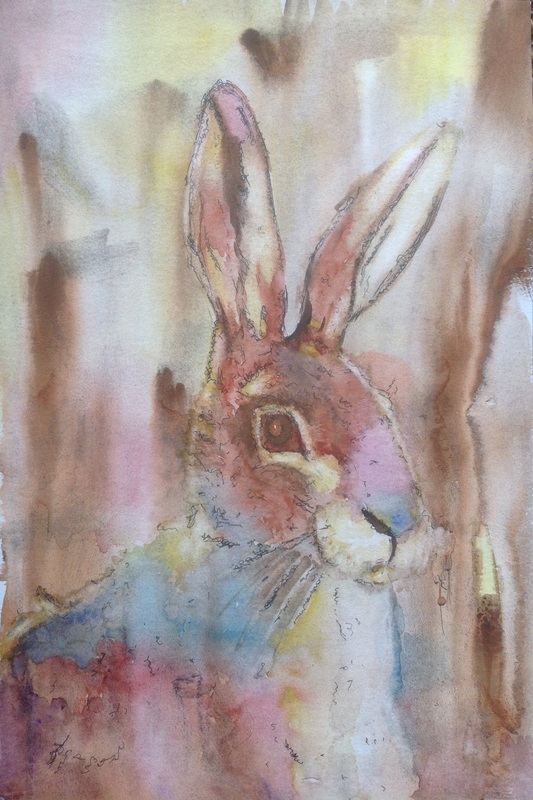 This entry was posted in art, Hare, rivulet technique, watercolour and tagged art, Hare, painting, Painting, rivulet technique, watercolour. Bookmark the permalink. 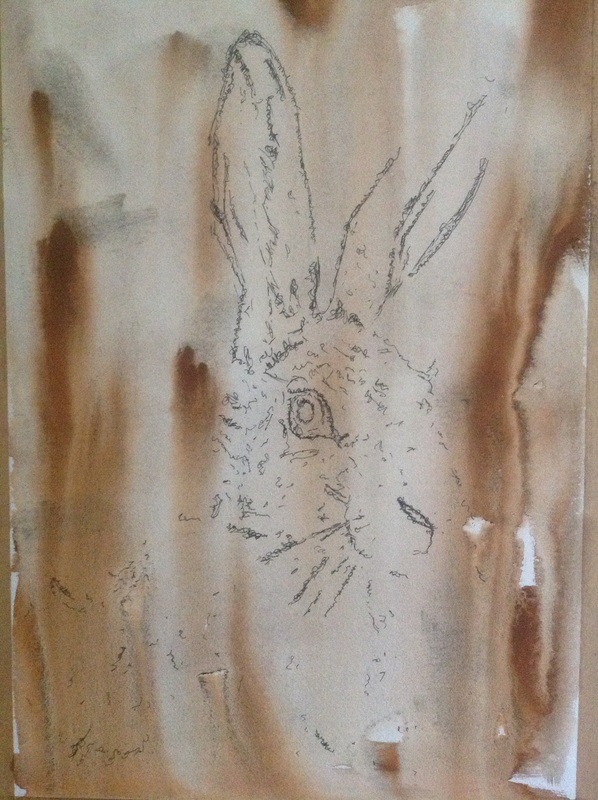 3 Responses to Rivulet technique using watercolour…….and another hare! I have been watching her video demos with much interest and am very glad to see it now with your hare. It worked very well indeed. She is remarkably generous with giving free demos on YouTube, for an AWS Member (they often charge $$, something to be expected), and is very gracious while demoing. thank you for posting this.